In Part 1 of moVas: From Buildings to Watches, we briefly touched on the history of horological innovations being driven by necessity and function. This week, we explore the inner workings of an independent brand, go through the 4 step process of production, and perhaps answer some questions about how a watch goes from an idea in our heads, to a mechanical marvel on our wrists. Sean Wai of moVas watches has a slightly different perspective when he creates his watches, and the end product clearly reflects that. According to him, he draws strongly from his past as an architect. 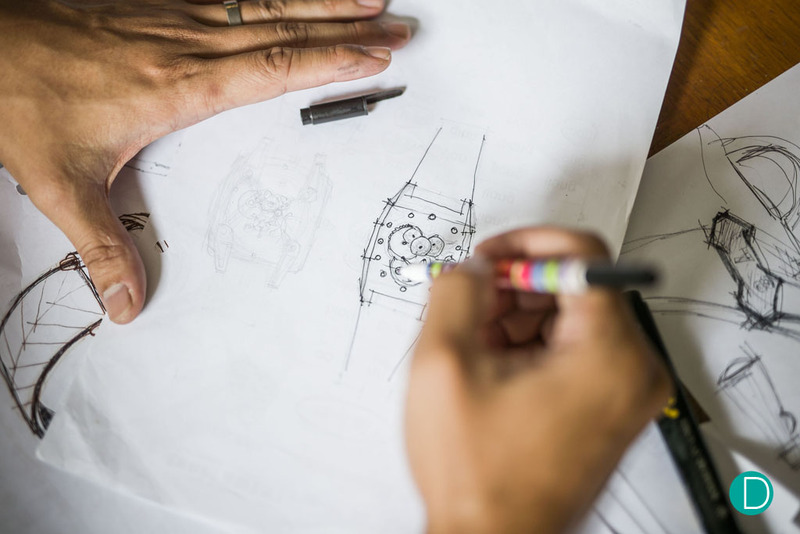 Generally, Sean begins with a design with philosophies drawn from architecture, where he looks at the form, design, and function of the watches beyond just the aesthetics. Although he now tends towards making more “sculptural” pieces, as he likes to call it, there is always a purpose behind the design. At moVas, ideas can come from literally anywhere. 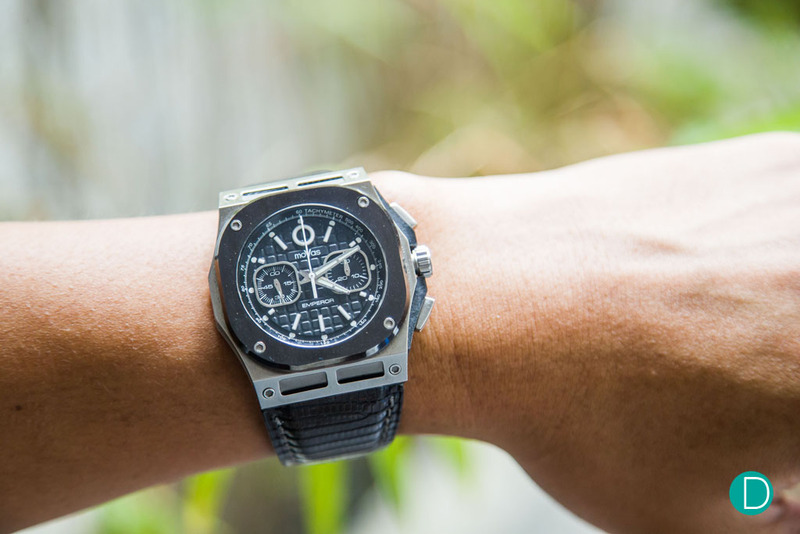 The easiest cues are of course taken directly from watches he has an interest in, be it from mainstream industry giants like Rolex and Audemars Piguet, or small-production independent watchmakers like Vianney Halter and Kari Voutilainen. Then you have ideas gleaned from a career designing buildings and appreciation of lines and angles. These are conceivably rather more abstract for one not versed in the theory of structure and design, but then again, it is even harder to see how one might apply said principles originally used on buildings many thousands of times larger than a watch. And yet, it all gels together and clicks for Sean. His past works have clearly displayed strong, robust design, giving his watches a sense of visual sturdiness. After coming up with general sketches and plans, he then makes important decisions such as price points and the corresponding size of his production run. Being limited by manpower, he is only able to produce around 100-200 watches a year. One particularly interesting observation he shared with us was that customers, in general, are in the market only at the price point that they are comfortable with, regardless of brand. In other word, a Seiko fan who collects dive watches at or around the $500 range will likely continue to target and notice watches around that range such as the SKX, PADI diver, Samurai Blue Lagoon, etc. rather than follow Seiko across price points and pick up a Grand Seiko dive watch which retails in the $5000-10000 range. The same Seiko fan is also more likely to buy into other brands which sell at the $500 price point. That being said, it is almost impossible to match Seiko and other large companies for the quality they provide at that level, which is why Sean set his sights higher. This allows him to do more with each pieces he designs, and add complications that wouldn’t be feasible at the lower price points. Sean also mentioned that he was considering making piece unique watches for select clients who enjoy playing an integral role as part of the experiment. 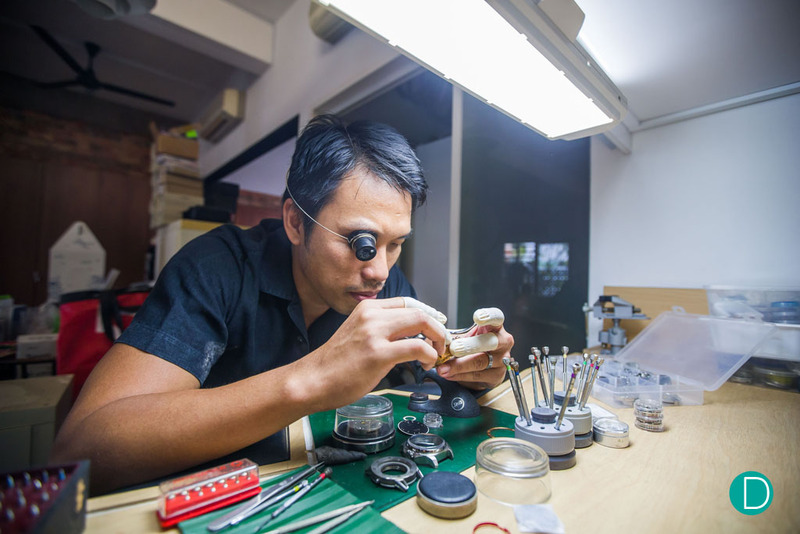 When business is good, Sean tends to spend more time on production, but he also shared that when business is slow, he would focus more on design and learning more skills that help him to design better watches. Since starting out, he has had to learn new technology from scratch which allows him to improve on his watch design. Back when he was an undergraduate student working for his professor he used Vectorworks, and actually used that when he first started designing watches. However, he has upgraded himself over the years and most recently taught himself to use Solidworks for his designs. It is so important for a small production brand to stay current with production processes, even being ahead if possible. 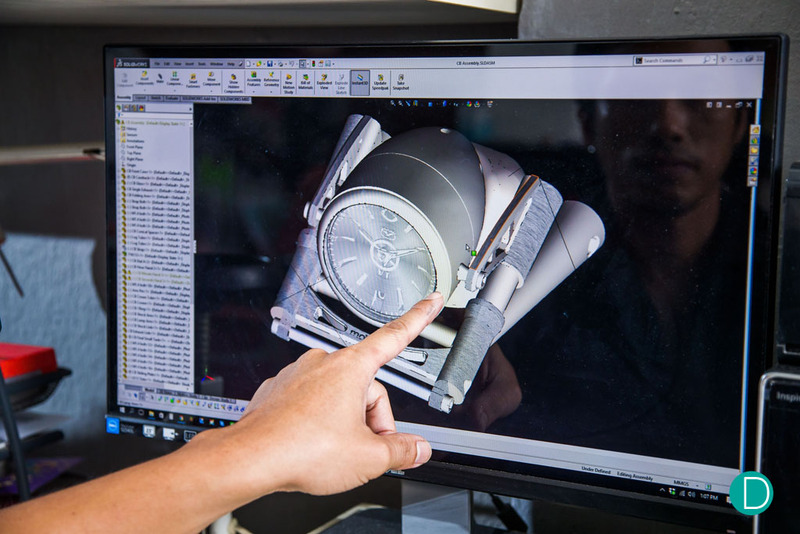 Of course, constantly upgrading has paid off for Sean, who is now able to implement more complex designs into his watches. 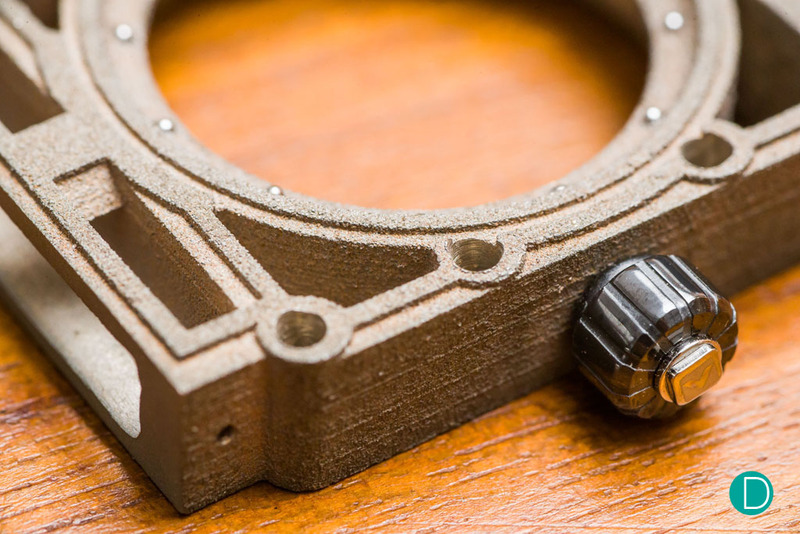 Some other changes that Sean has been working on include using 3D printing on various components of the watch, as well as experimenting with various alloys and materials such as carbon fibre for the case. At the moment, it is still a work in progress, although early test results have been positive and we could possibly see it being implemented in future pieces. 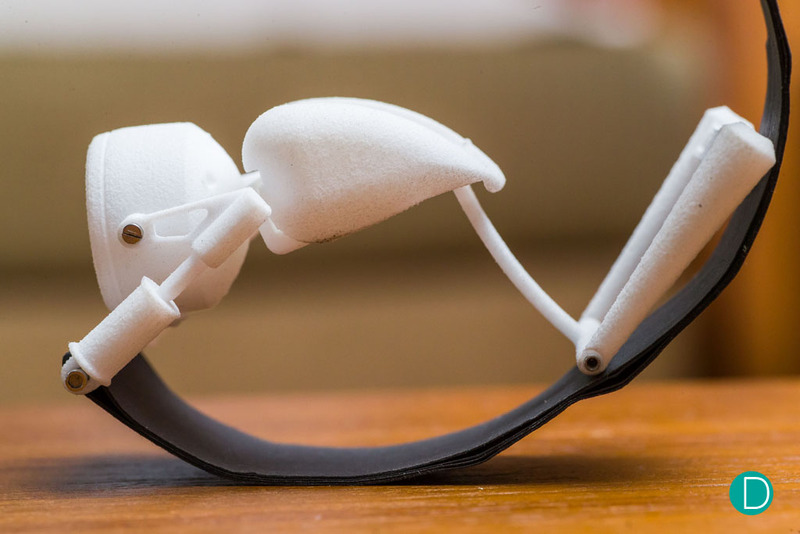 After an initial design is made on Solidworks, Sean sends the files for 3D printing using additive manufacturing. This allows him to better visualise the dimensions of the watch and other important factors, such as wearability. When we visited, he had just made a prototype of the Dreamcraft Moto V1. 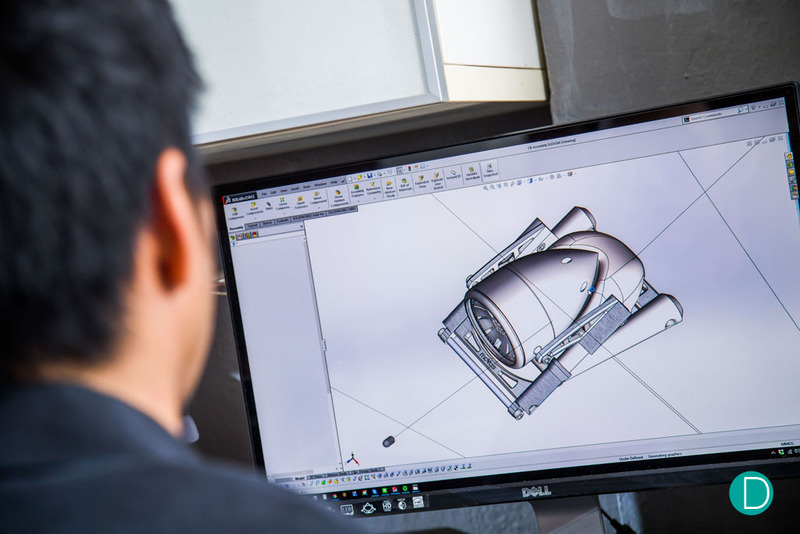 After prototyping and finalising a design, the design files are sent to facilities which use CNC machines to mill the parts in metal, such as watch cases, bezels and clasps. MoVas uses a novel clasp system, which allows the user to wear the watch in a more ergonomic fashion. Normal butterfly clasps require the wearer to press buttons on the side to release the locking mechanism, whereas Sean’s design requires the wearer to pull the clasp along the long axis of the strap instead, which is a more natural motion for putting on and removing the watch. Continuing in the spirit of innovation, Sean has actually integrated the clasp system for the Dreamcraft Moto V1 into the watch case and instead of on the strap. This posed some challenges in design, but Sean was able to create both the case and the clasp in the same factory by working around the technical demands of such a uniquely shaped clasp/case. It sounds incredible in theory, and we can only wait with bated breath to handle and review the final product. Sean then finishes the cases by hand, giving each watch the human touch and also correcting for any minute discrepancies in dimension that might have resulted from the yet-imperfect CNC machining. This is seldom as easy as it sounds, with certain materials being more difficult to finish. It is also not scalable and every last piece has to be finished by Sean. As an independent brand with little capital to spare on marketing, this is usually the most difficult step. Sean usually informs people who are interested in his watches about new designs and models through a newsletter. This method, he believes, allows for a much more intimate relationship with his buyers. And yet, this only allows him to target the customers who already know about the brand; he still needs to source out and target the audience targeting a similar price point or watch design. Apart from mailing lists and release events, there is little else that can be done without invest on advertising. When asked about crowd-funding platforms such as Kickstarter, or approaching venture capitalists to back his creations, Sean breaks into a wry smile: he actively stays away from crowd-funding strategies. He reasons that since consumers remember the discounted price, a brand would be trading increased volume for decreased price. Also people resell the pieces on the 2nd hand market, causing oversaturation and lowering the overall desirability of the brand. With regards to venture capitalists, one would have to relinquish overall control over the direction of the company, which would be exactly the opposite of what Sean wanted to achieve when setting up moVas. At the end of the day, it’s easy for us as consumers to sit back and simply appraise and offer our opinion on the exterior appearance of a watch, how this looks great but that could be better. 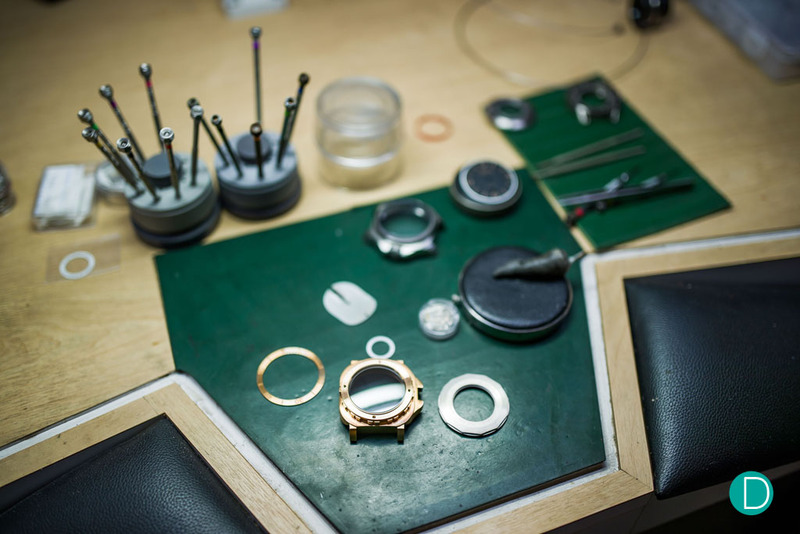 After learning about the painstaking work and amount of thought that goes into a watch, from conception to production, it has to be said that creating a watch is easier said than done, especially for a small brand which is essentially a one man show. Next week, we take a look at some of Sean’s earlier works and current production pieces! Chief Editor’s Note: Project Movas was a special team set up by the Editorial staff of Ryan Teoh and Khong Jin Sun in collaboration with professional photographer Calvin Wong of Calvin Wong Photography. Ryan and Jin are responsible for the texts and Calvin for all the photography.